The seating furniture was designed at the end of the 1920s the German pavilion at the world's fair in Barcelona and has earned the title of classic. On one hand, because the ensemble of the clear pavilion later made the cold lifestyle famous – becoming known as “International Style.” On the other hand, because there are historic references. That is how Greek folding chairs (scissor or driving chairs as thrones for gods and monarchs) served as inspiration. More or less, this is a modern throne (without the folding function). 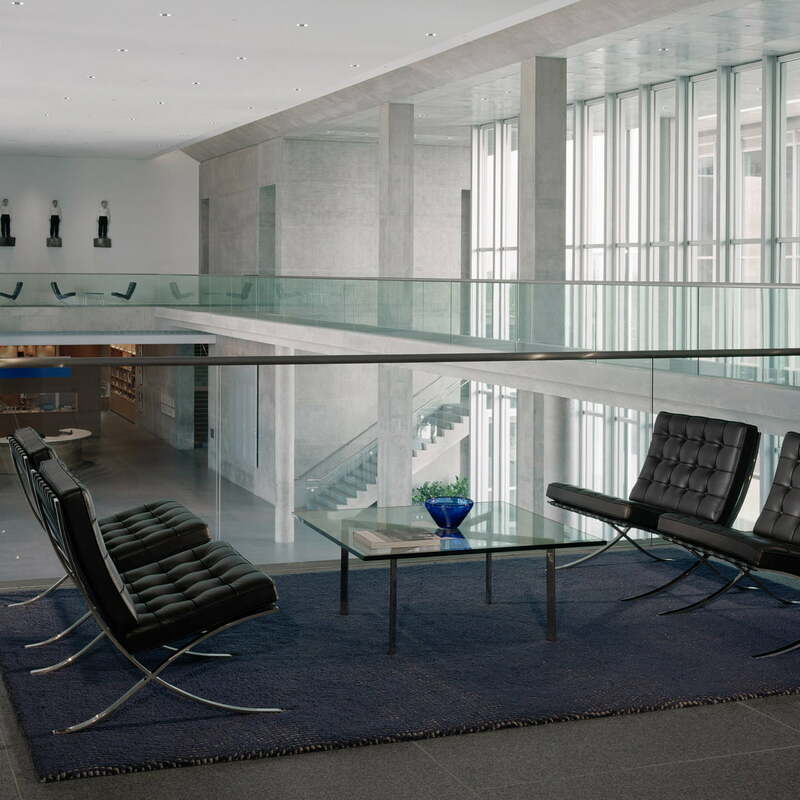 In reality, the furniture pieces for the Barcelona pavilion fulfilled highly representative purposes in their initial context: They should serve as royal chairs during the opening ceremony of the world exposition in Barcelona. This conception stands in contrast to the social, even socialistic aims, which were held by many protagonists belonging to the “New Construction” of the time. Ludwig Mies van der Rohe used band steel and leather upholstery at the world exposition in celebrity white. 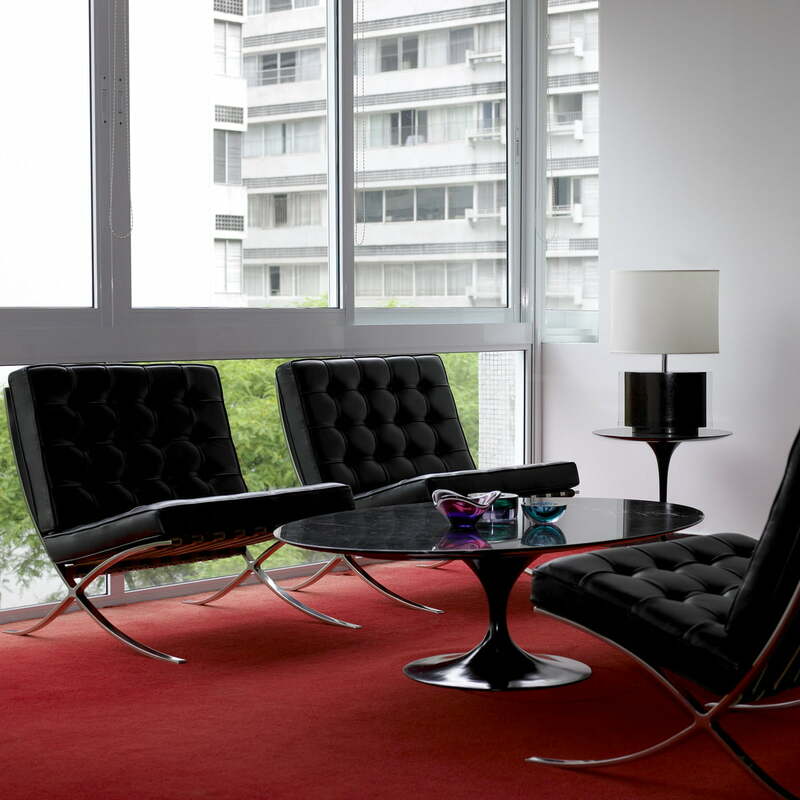 The Barcelona chair was a piece of luxury furniture and hardly suitable for the series. 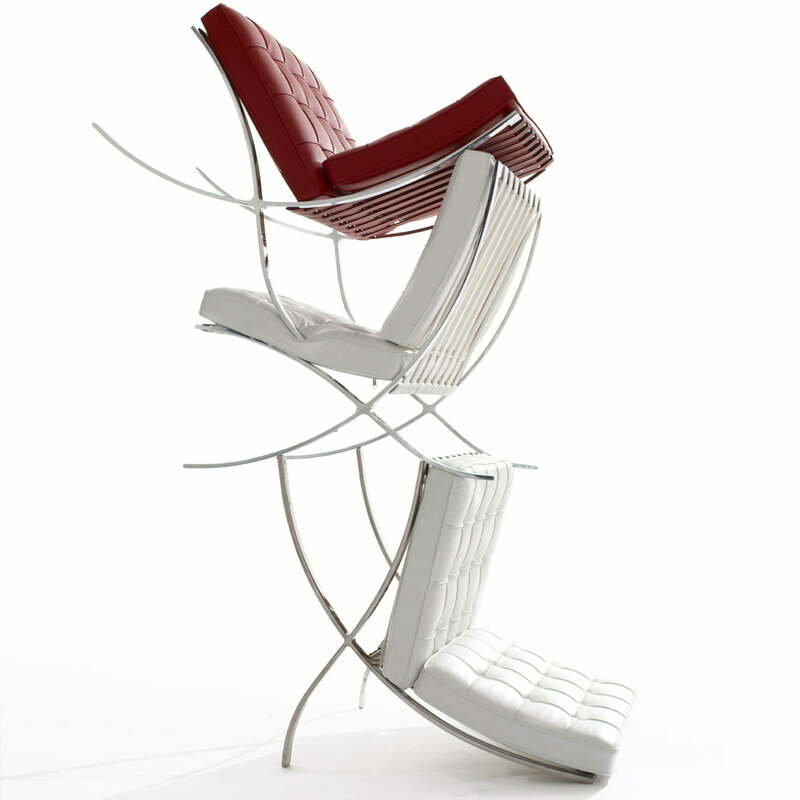 The frame had to be welded sophistically by hand, which meant that the chair could only be first produced in a changed version from 1948 onwards. 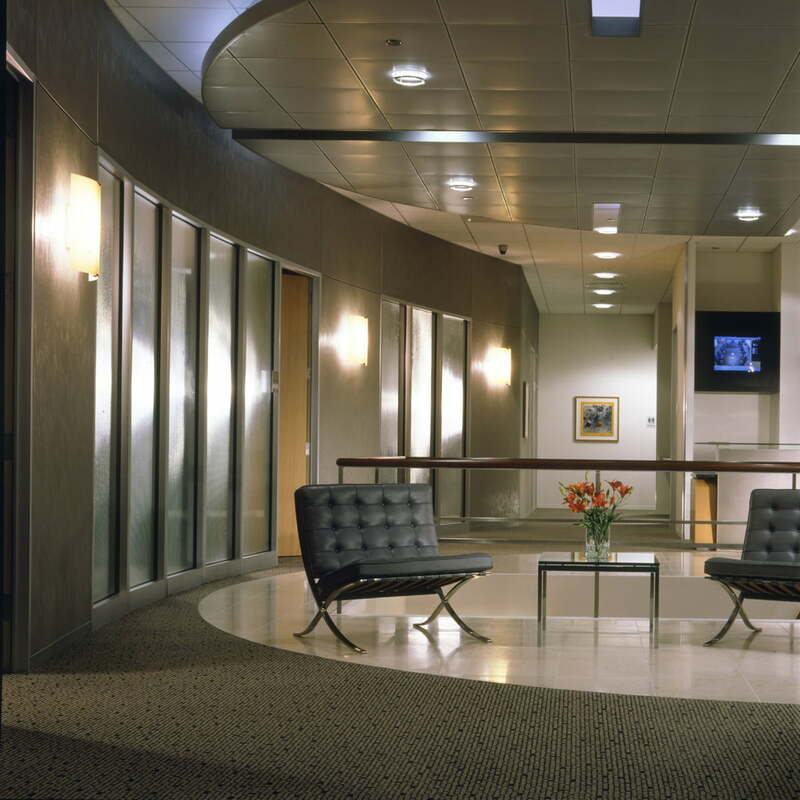 However, it is a really innovative design which enlarged the repertoire of modern times. The separate seat and back cushions “fall” by themselves into the desired position. 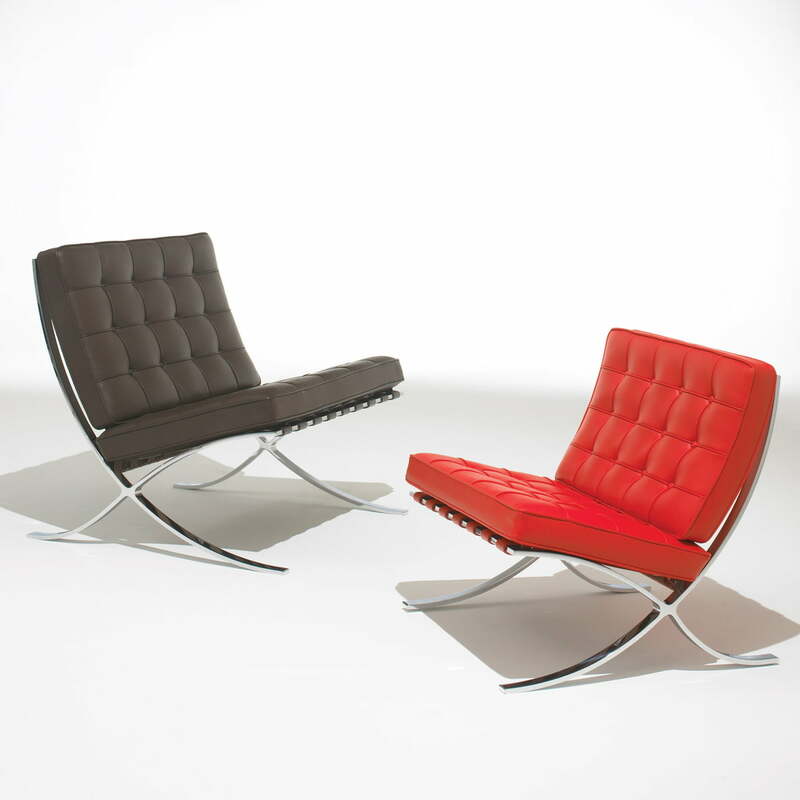 Thereby, the lounger wins its apparent attractiveness, not at last because of the contrast of the swung frame to the more static acting leather modules. 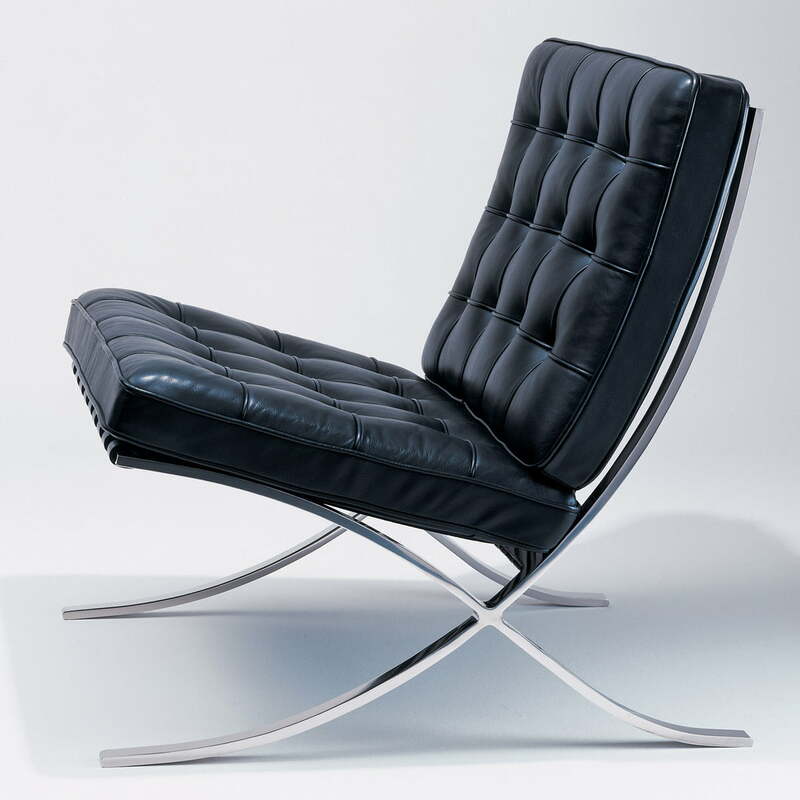 Characteristics: A signed KnollStudio piece of furniture, manufactured with Mies van der Rohe’s initial specifications. 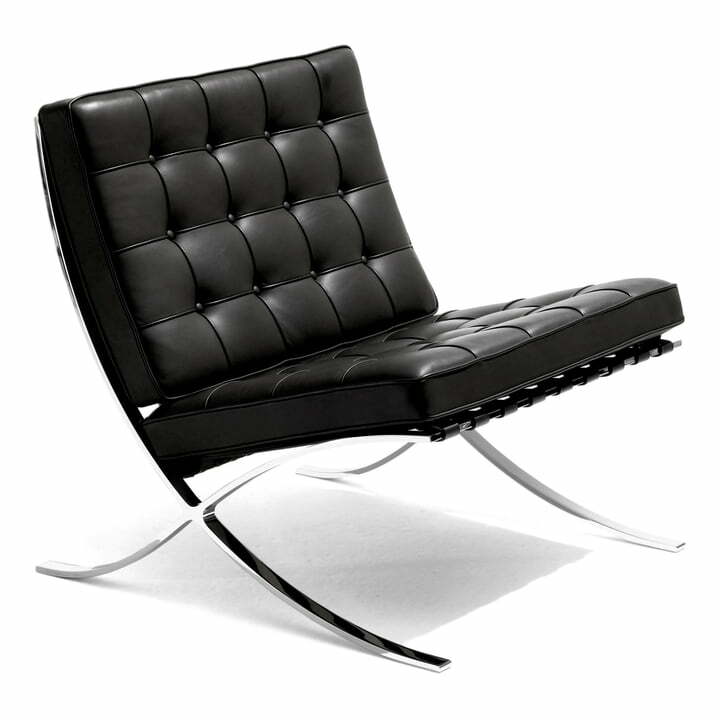 In 1953, the designer offered exclusive market and production rights to Knoll. A children’s version of the Barcelona Stool is also available. 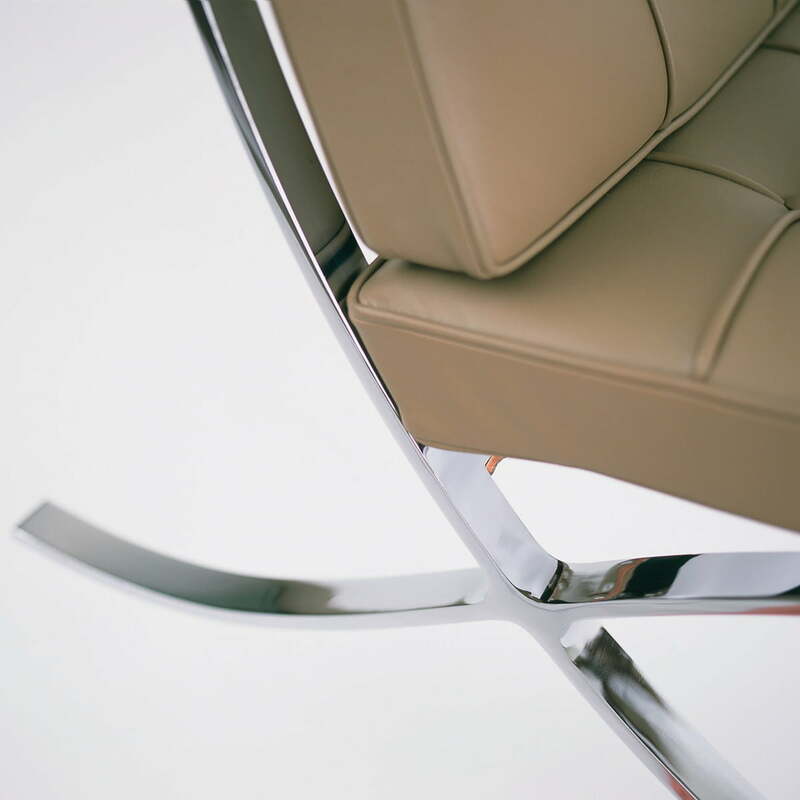 The logo KnollStudio and the signature of Ludwig Mies van der Rohe are imprinted on every piece of furniture. 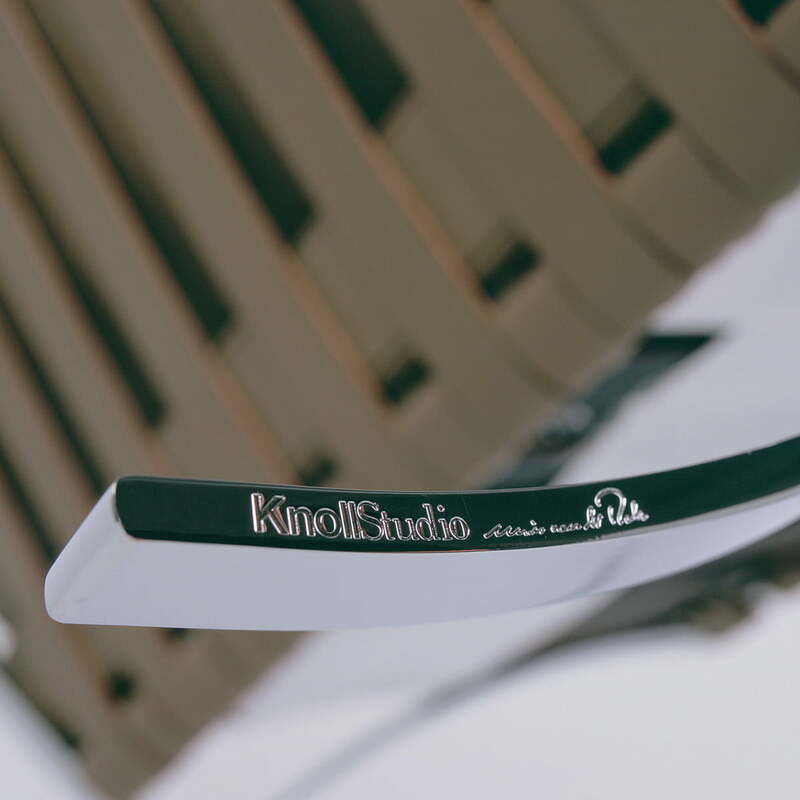 Construction: The chromed frame is high gloss polished by hand. 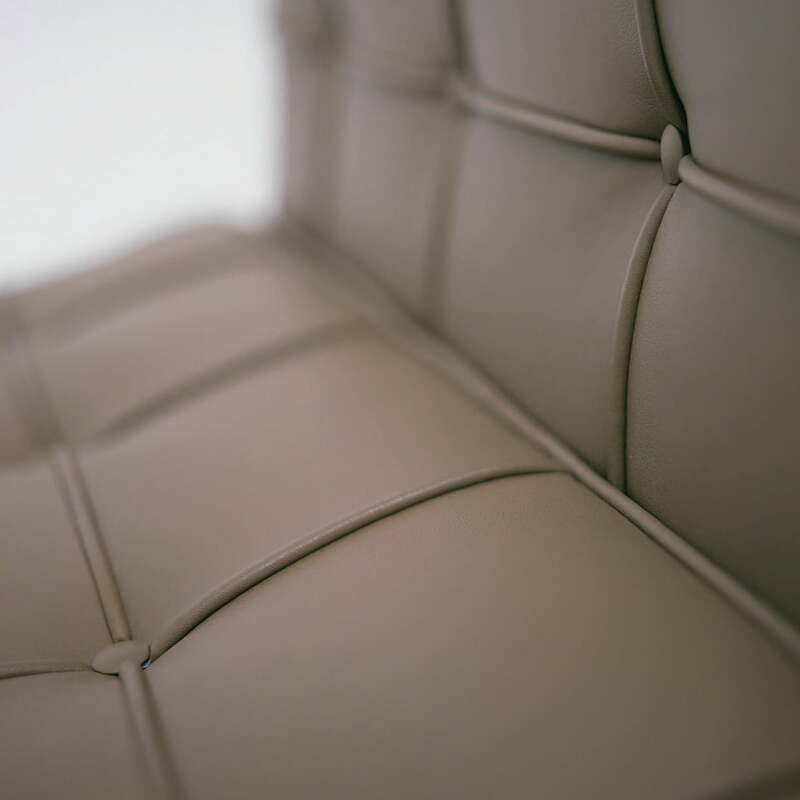 Each cushion consists of 40 single leather pieces that are hand-cut, sewn, and equipped with seams and buttons from a single skin. 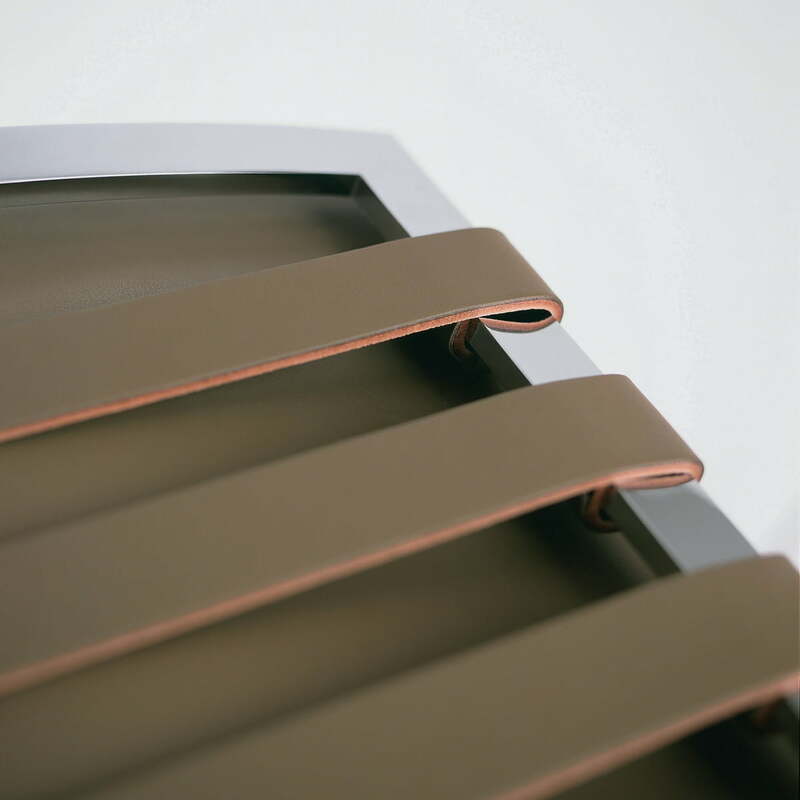 The viewable side of the straps has been coloured to suit the upholstery. Surface: Available in different Spinneybeck leathers. The frame is chrome-plated and polished. Awards: Award of the Museum of Modern Art, 1977.